Currently, over 300 million people live within a one hour drive from an airport served by EasyJet, making them one of the most accessible airlines in Europe, providing domestic and international services within 32 countries on over 700 routes. As the famous orange and white airliner reaches its 20th birthday, we look at how EasyJet has become one of the largest airlines in Europe. 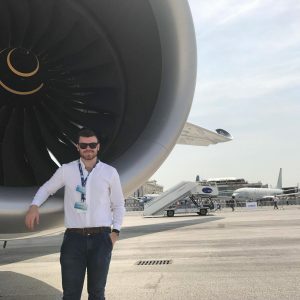 It all started back in 1995 when EasyJet was launched by Greek businessman Sir Stelios Haji-Loannou, with two wet leased Being 737-200 aircraft utilizing two routes from London Luton to both Glasgow and Edinburgh, Scotland. Just under a year later, EasyJet took ownership of its own aircraft and initiated international flights, with the first overseas destination being Amsterdam. EasyJet’s acquisition of other airlines propelled the company to a dominant status in the airspace above Europe. Purchasing a 40% stake in Swiss charter company TEA Balse enabled EasyJet to open its first base outside of the United Kingdom in Geneva, and would let to the creation of EasyJet Switzerland in March of 1998. Four years later, the acquisition of rival airline Go Fly for $577 million took place, leaving EasyJet with ownership of Go’s 27 Boeing 737-300 airplanes, effectively doubling the airline’s fleet and adding three new bases at Bristol, East Midlands, and Stansted Airport. The quick expansion continued as the airline opened its base at London Gatwick Airport as well as new bases in Spain, Italy, Germany, and France. By 2007 the airline claimed to operate more flights per day than any other European airline. Towards the end of 2007, EasyJet bought GB Airways for a fee of $159 million, giving EasyJet more slots at Gatwick as well as a new base at Manchester Airport. In 2011, London Southend Airport became the airlines 11th base in the UK, offering up to 15 flights during the Summer season. During 2013, EasyJet’s Gatwick base started its 100th route, with new service to Moscow. This occurred just after the company saw its promotion to the FTSE 100 Stock Exchange following 13 years on the London Stock Market. EasyJet’s continued presence more than confirms a new dimension of air travel; the existence of the no-frills low-cost airline. However, they aren’t the first to take to the skies as a low-cost carrier. This business model itself follows a standard tradition along the major no-frills airline. Generally the tradition and common themes among low-cost airlines is the reduction of cost and reduced overall fares compared to the larger, flag carrier airlines. 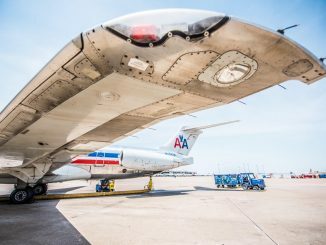 Quick turnaround of aircraft means that the airline’s fleet spends more time in the air and less on the ground. 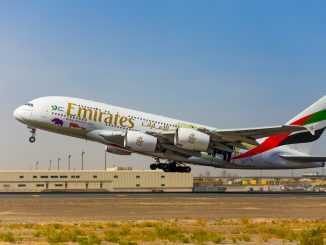 This allows for more scheduled services to be flown, increasing passenger numbers and ultimately revenue. Pilots flying up to six sectors a day can be normal. These reasons and more only contribute to EasyJet’s ability to increase its bottom line and therefore add new routes quickly and efficiently. EasyJet, along with other notable airlines such as Ryanair and Southwest, follow the same theme in the choice of aircraft. Having the same type of airplane reduces cost across the whole company itself. By having a certain type of aircraft, an airline only needs one type of pilot to fly the entire fleet. EasyJet currently has 218 aircraft in its fleet, which is made up of 135 A319-100s and 83 A320-200s, meaning the airline’s 2000 pilots can fly any aircraft in the fleet because the aircraft all fall under the same type rating. 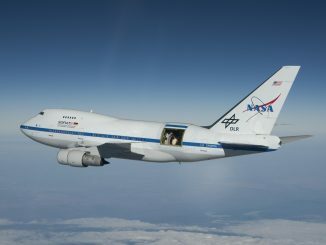 Because of this, the airline required only one type of engineer, one size maintenance facilities, one type of cabin crew and one type of airport slot, allowing the company to save millions of dollars straight away. EasyJet has continued this theme during the expansion of the company, and currently has 152 orders made up of 52 extra A320-200 aircraft and 100 of the new Airbus A320neo, which will begin services in 2017. Both EasyJet and Ryanair have a relatively young average fleet age of 5 years, compared to US low-cost carrier Southwest having an average of 11.9 years. This only further enables the airline to reduce its maintenance costs. Initially, all of EasyJet bookings were through telephone only, with the number plastered on all EasyJet airplanes. Because of this, there was no need for travel agents to sell bookings with their commission, meaning the airline was selling tickets directly to customers at the cheapest price possible. 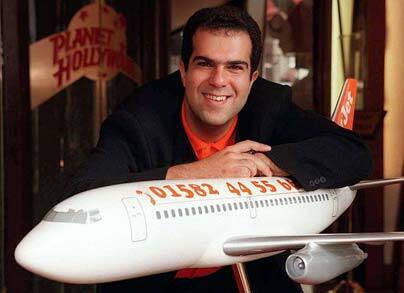 Towards the end of 1997, it was reported that Sir Stelios was incredibly skeptical of online bookings through a website, with the owner stating “The Internet is for nerds, it will never make money for my business!” However, with the help of Tony Anderson and Michael Coltman, EasyJet’s marketing director and business manager, the potential was seen and and a trial period was born. Once Sir Stelios saw the trial’s results, he quickly changed his mind and eventually oversaw his company becoming the first low-cost carrier in Europe to offer real-time online booking by April of 1998. Internet bookings became a cheaper option compared to telephone bookings through the reduction in costs for call centers, which directly lead to cheaper tickets, more passengers, and most importantly more revenue for the airline. 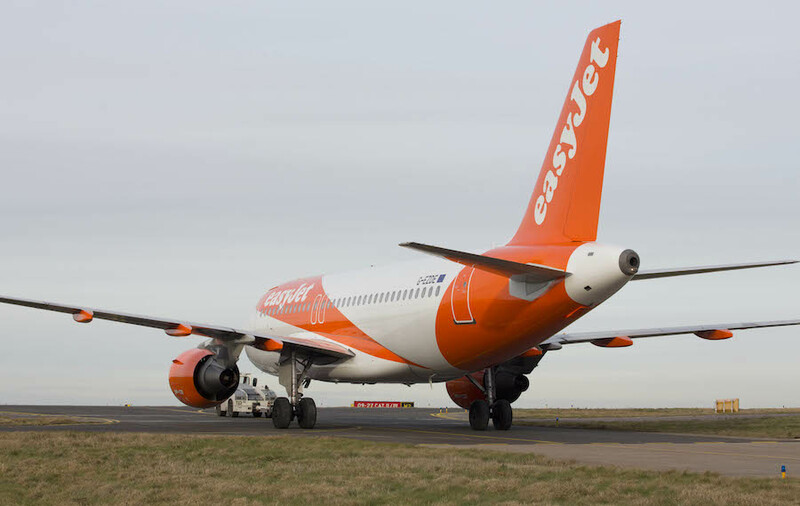 EasyJet quickly changed their aircraft liveries from displaying a phone number to a web address, which would also increase ticket purchases. In 2004, 98% of bookings were made through the internet. All of the airline’s aircraft are configured in a single class, allowing for a high density layout and maximum seats per aircraft. 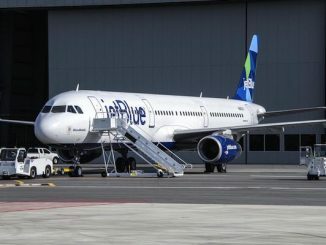 The A319 fleet can accommodate 156 passengers, whereas the A320-200 fleet is currently in the process of being converted from 180 to 186 passengers, matching the capability of the airline’s future neo aircraft. 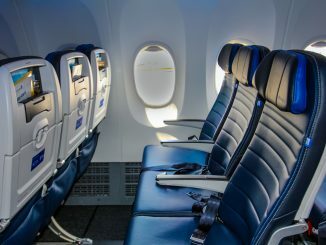 Because the airline does not serve meals on its shorter flights, the airline chose to have smaller galleys, allowing for 156 seats on the A319 fleet (normally seats 140). Due to this seating arrangement, all EasyJet A319s have two pairs of over-wing exits instead of one to meet safety requirements in the event of an evacuation. Although no food is served on a complimentary basis among the passengers, all flown routes have the ability to serve food and drinks at the expense of the passenger. Products include sandwiches, chocolate, snacks, and alcoholic drinks. The Company also offers an onboard duty free shop including fragrances, cosmetics, gadgets and airline-branded items. All seats are provided with a free magazine, which is published monthly providing articles of interest for passengers. Services out of Gatwick and Manchester did have the option to rent Mezzo entertainment devices during 2011 and 2012, but currently all inflight entertainment has been stopped. 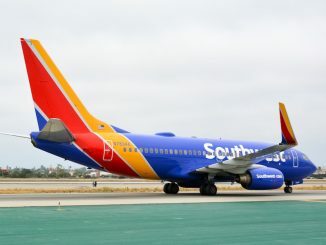 Like Southwest, the airline used to not allocate seats, meaning passengers effectively scrambled from the terminal to the aircraft on the ramp for a certain seat location. If passengers were willing to pay, they could purchase “Speedy Boarding” which at an extra cost allowed the passenger to be among the first on the aircraft. 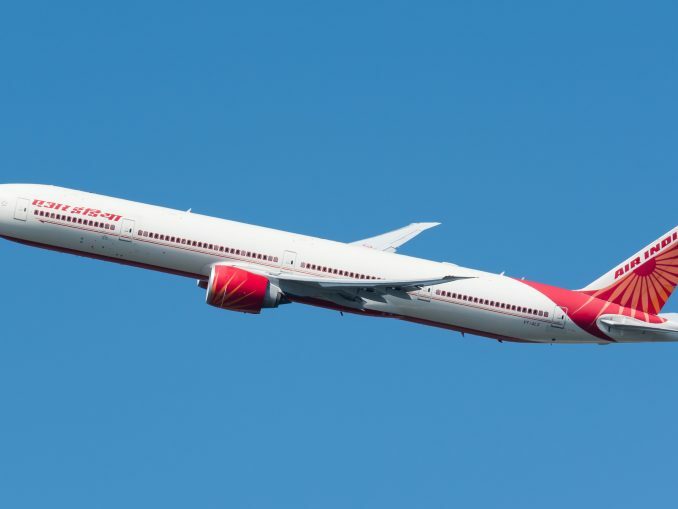 However, beginning in 2012 the airline started to allocate numbered seats before boarding as it was found that this did not slow down the boarding of passengers and could increase revenue more than what “Speedy Boarding” had provided. Front row seats and over-wing seats, which provide more leg room, are still sold for an additional fee. The airline recently requested to join a key committee that represents airlines operating out of London Heathrow airport, an airport the airline currently does not serve. EasyJet has seriously looked into moving into the west London airport if the prospect arises in the future. However, the only likely way this will happen is if a third runway expansion at Europe’s busiest airport is approved. 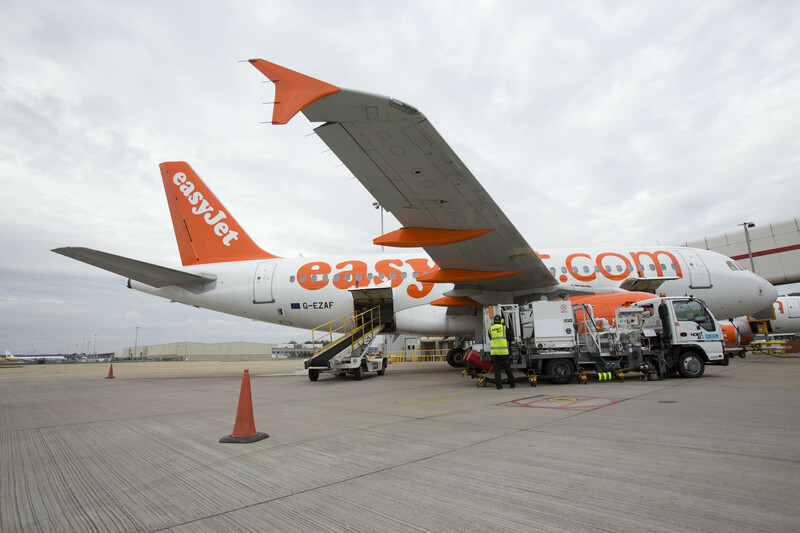 Following suit with other major carriers in Europe, the budget carrier has teamed up with other companies to offer EasyJet Holidays and EasyJet Hotels, offering low-cost package holidays to passengers. Today at EasyJet’s famous orange hangar at Luton Airport, the airline celebrated the 20th milestone with a big event led by the current CEO Carolyn McCall. She was joined by hundreds of employees including cabin crew, pilots, and ground staff. Sir Stelios also appeared, giving a speech to the audience about the airline and how it all began. 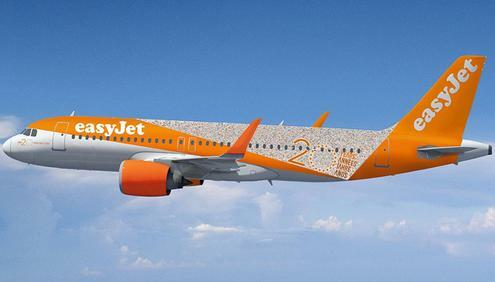 Along with a cake, the airline also enjoyed the special 20th birthday livery painted on one of its aircraft, made up of a collage of 100,000 photos from EasyJet flights and holidays. 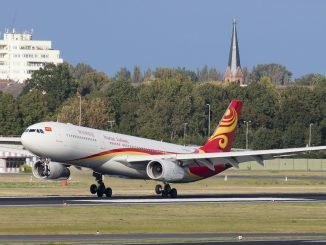 With 150 orders placed and another 100 potential deliveries, the airline shows no signs of slowing down in terms of its expansion. More airplanes, more passengers, more destinations, and more hubs for the “orange and white airline”; Happy 20th EasyJet.